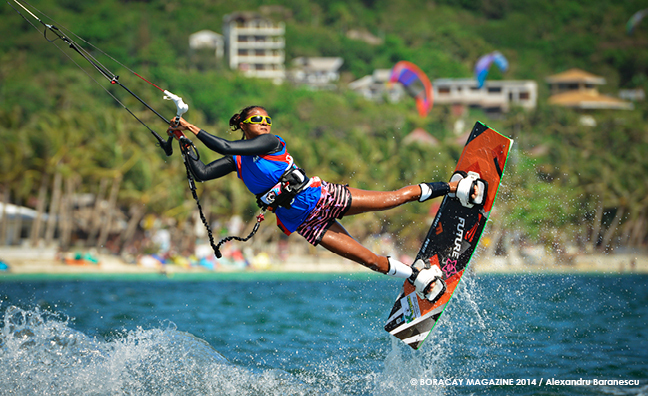 One heady sport that has taken off extremely well in Boracay Island is kitesurfing or kiteboarding. 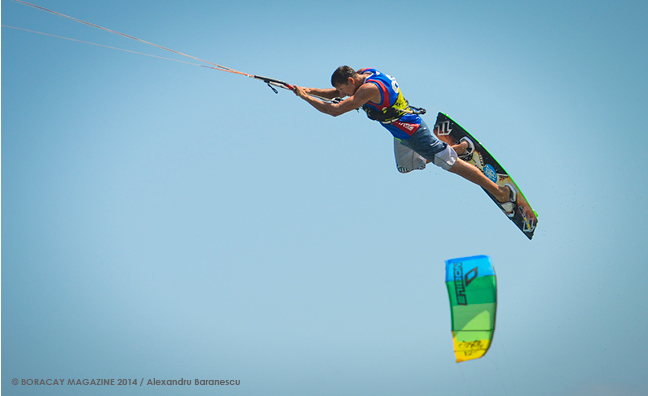 Borne by the wind, kiters skim the water’s surface at high speeds, or are lifted to midair for exhilarating jumps, flights, and other tricks. Where and when to kite? 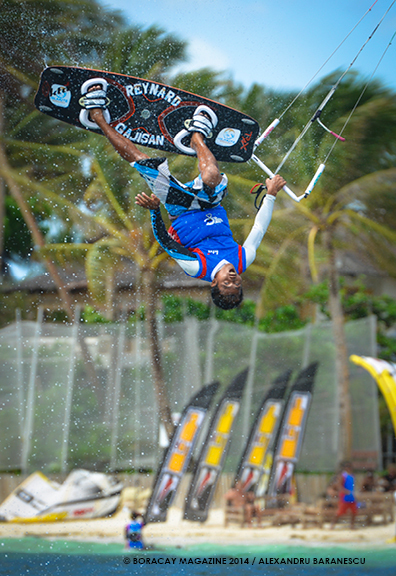 Kiteboarding may be enjoyed all year round in Boracay, but during the island’s kite season (November-February), the amihan or cool northeast wind is channeled onshore to the eastern side where the reef-protected Bolabog Beach is, creating the conditions that make it the ideal beach for windsurfing and kiteboarding. The wind typically blows steadily at 12 to 20 knots. White Beach, which is on the west side, is sheltered from the wind, making it more favorable for beach lovers of all inclinations (perfect for non-sporting companions) during this season. In the summer months (March-May), you can kite on most days in Bolabog Beach. In the habagat or monsoon season (June-October), the wind changes direction with the southwest monsoon blowing into White Beach. 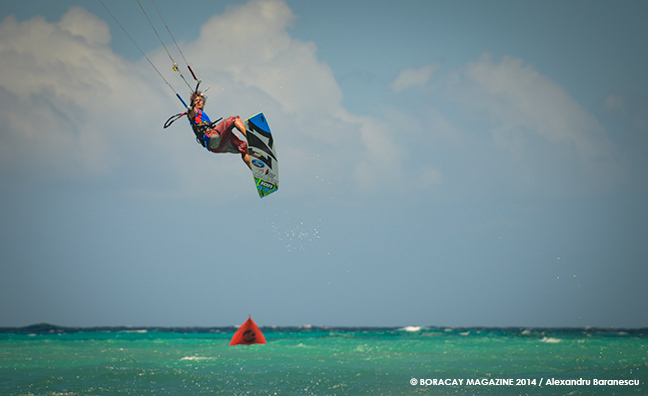 Kiteboarders follow the wind to White Beach, which enjoys waves and winds at 15-25 knots. 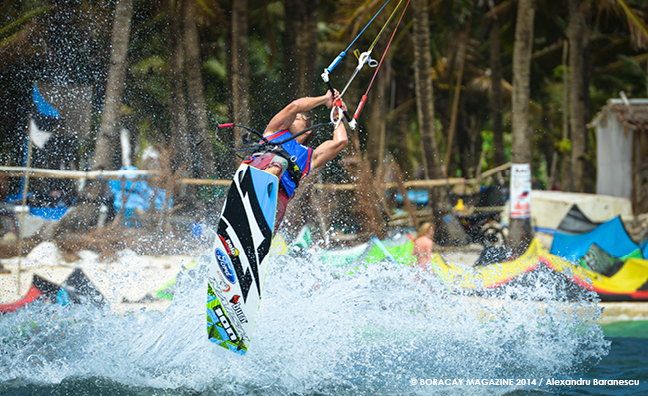 Boracay is the perfect place to learn to kite, hone your skills, or even join a competition. Several establishments offer professionally taught, IKO-recognized courses for all levels, from beginner’s to advanced, and a good selection of equipment for sale or rent. 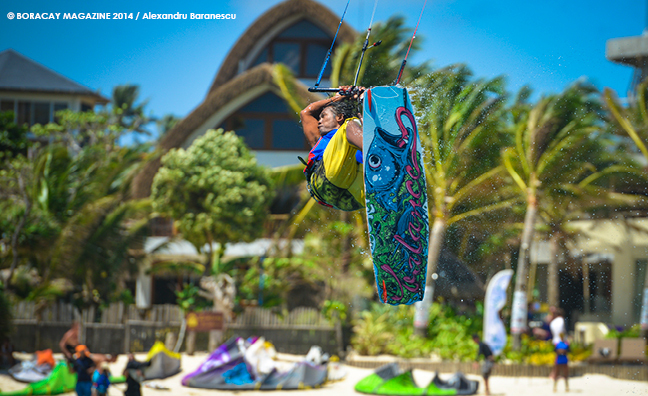 You’ll also be welcomed to an international kiteboarding community of locals, residents, expats, and regular visitors—all watersports enthusiasts who have also fallen in-love with Boracay Island. 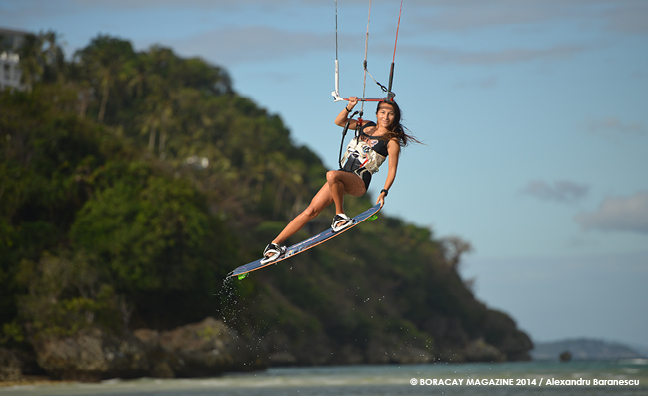 A Boracay kiteboarding experience is truly unforgettable because the island is more than just a sports beach. Boracay has several awe-inspiring beaches, a wide range of choices for accommodation, food, and activities, a lively nightlife, and best of all, a beach community of gracious, laid-back, and fun-loving people. It takes more than a lovely place to make a great destination; it’s people who turn a place into a true paradise. 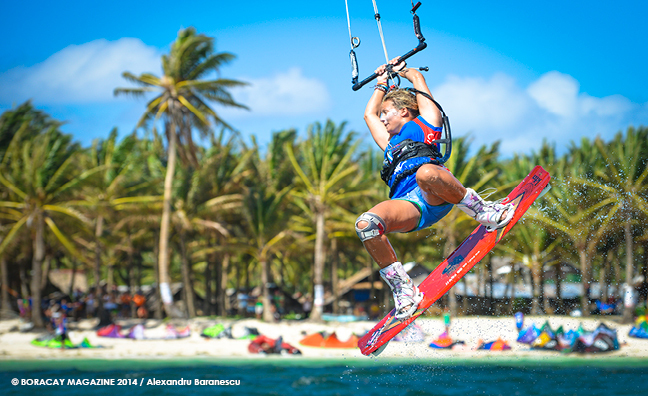 This entry was posted in Sports and tagged Asia, beach, extreme sports, kitesurfing, Philippines, sports beach, travel, watersports. Bookmark the permalink.